1. 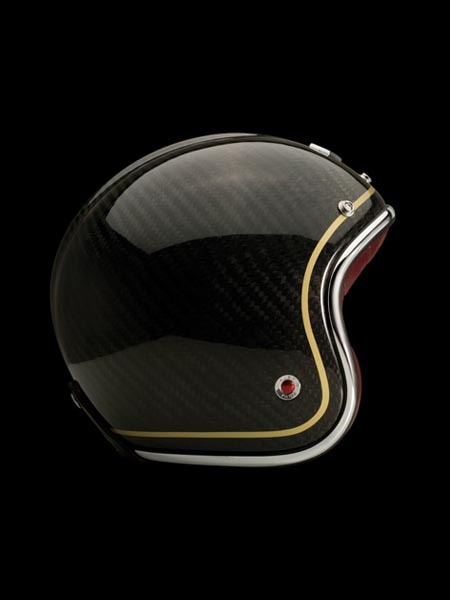 Les Ateliers Ruby Pavilion Motorcycle Helmet – yeah, this thing is expensive, coming in at around $800, but the more I think about it; I paid $500 for my jacket, $300 for the jeans, endless dollars on shoes and I can’t spend more than $100 for a helmet, that keeps my melon safe? Seems kinda wack, eh? 2. 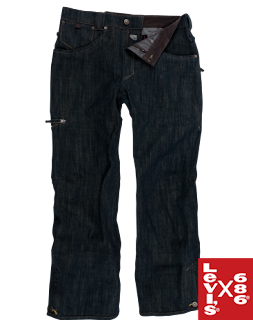 686 Times Levis snowboard pants – denim in snowboarding has been around since the days of Tarquin Robbins, but these are easily the best examples of cool looking, functional shred denim on the market today. 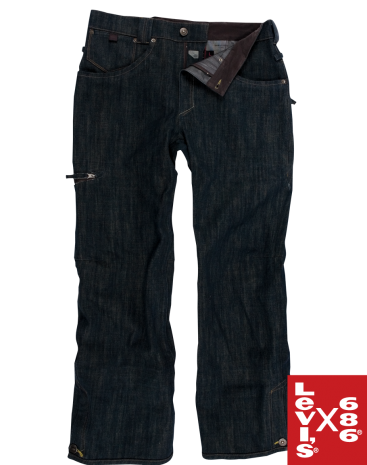 686 teamed up with the cats at Levis and delivered a killer pair of denim shred pants. 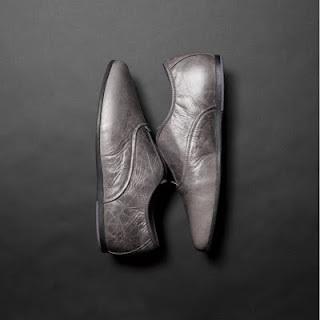 After seeing a buddy riding them the other day, they have been placed on the must have list, so awesome. * needs vs wants, who really cares?